Phaser 8560 selges ikke lenger som nytt produkt. 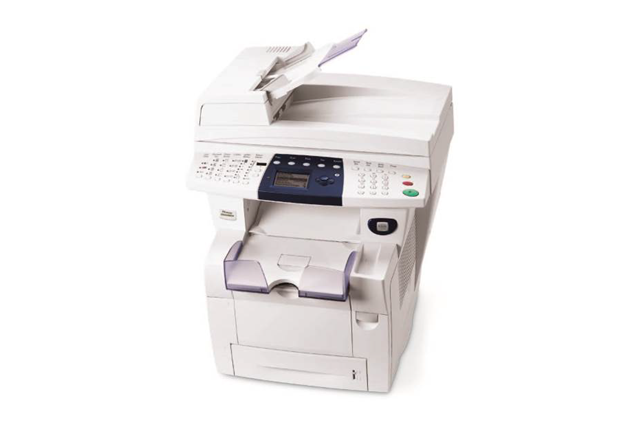 The Phaser 8560 solid ink color printer family was selected as an Editor's Choice winner in the Better Buys for Business 2008 Color Laser Printer and Business Inkjet Guide. BBB says, "We find its attractive pricing, small footprint, quiet operation, and reasonable sticker prices to be excellent features." Buyers Laboratory Inc. (BLI) selected the Phaser 8560DN solid ink color printer as "Pick of the Year" for Outstanding Critical Color Printer. The independent research organization praised its "outstanding performance," ease "to set up and manage on the network," "effortless" routine maintenance, and "output that is ideal for any environment where color is critical." BERTL has given the Phaser 8560 color printer its Highly Recommended rating. In summary, BERTL "found the Xerox Phaser 8560DT printer to be a good performer, as well as very easy to use, support, deploy, manage and maintain." Editor's Choice - The Phaser 8560N solid ink color printer was awarded an "Editor's Choice" designation. Reviewer Denny Atkin highlights the printer's "superb" overall print quality, ease of installation, and quick printing speeds. 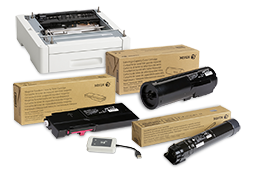 Atkin summarizes his review by stating, "With high-quality printouts, low per-page costs, and easy maintenance, the solid-ink Phaser 8560/N gives color lasers some serious competition." 1Gjennomsnittlige standardsider. Gjennomsnittlig kontinuerlig, sammensatt CMY-utskrift i samsvar med ISO/IEC 24711. Kapasiteten vil variere i henhold til bilde, dekningsgrad og utskriftsmodus.